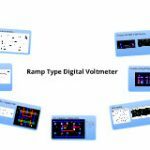 Input range : The digital voltmeter has automatic range selection facility. 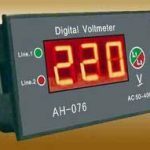 The input range is from ± 1 V to ± 1000 V.
Accuracy : The accuracy is about ± 1 percent for a 3 digit digital voltmeter and ± 0.0002 percent for a 6 digit digital voltmeter. 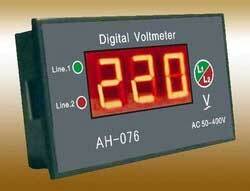 Speed : A digital voltmeter can digitize the signal with a speed of about 1 milisecond. Resolution : The resolution is one part in 106. Stability : 0.002 of the reading for 24 hours. 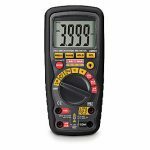 Input resistance : The input resistance is typically 10 MΩ. 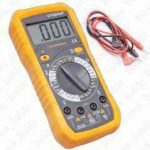 Input capacitance : The input capacitance is typically 40 pF. Output signal : The digital outputs are in the form of four line binary code.